This sapphire engagement ring is one of our favourites! The diamond halo is perfectly proportioned to enhance the stunning centre sapphire. 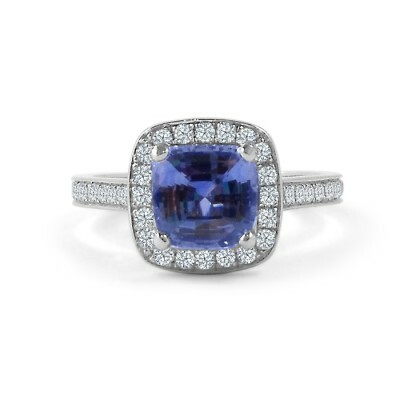 If you like this ring, you should also check out our Oval Sapphire Halo Engagement Ring. This ring can be custom made for you in platinum, white gold, yellow gold, or rose gold with any type of diamond, sapphire or other gemstone.